Davis, Craig L., and Ellen J. Gerl. (2014). Vibrators: A mainstream product continues to shed its taboo past. Case Studies in Strategic Communication, 3, article 3. Gerl, Ellen. Beverly Rae Kimes: Automotive journalist under the hood. 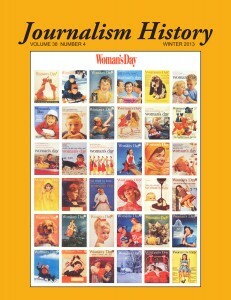 Journalism History. 36:2 (Summer 2010), 62-70. Gerl, Ellen and Molly R. Morris. The causes and consequences of color vision. Evolution: Education and Outreach (October 2008). 1:476-486. Davis, Craig, Ellen Gerl and Nakato Hirakubo. Choosing the best campaign idea for Soultone Amplification, Annual Advances in Business Cases. Society for Case Research (2009) 50-59. Gerl, Ellen. “Bill Nye,” The Encyclopedia of Science and Technology Communication, Susanna Hornig Priest, ed. (Thousand Oaks, CA: Sage, 2010), 1:533-534. Gerl, Ellen. “Dorothy Nelkin,” The Encyclopedia of Science and Technology Communication, Susanna Hornig Priest, ed. (Thousand Oaks, CA: Sage, 2010), 1:511-513. Gerl, Ellen. “Science in Magazines,” The Encyclopedia of Science and Technology Communication, Susanna Hornig Priest, ed. (Thousand Oaks, CA: Sage, 2010), 2:711-715. Gerl, Ellen. 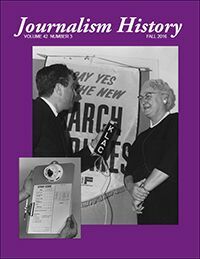 Review of Byline of Hope: Collected Newspaper and Magazine Writing of Helen Keller by Beth A. Haller, ed., Journalism History, Spring 2016. Gerl, Ellen. Review of The Sweet Sixteen, The Journey that Inspired the Canadian Women’s Press Club by Linda Kay, Journalism & Mass Communication Quarterly. Winter 2013. Gerl, Ellen. Review of The Good Girls Revolt: How the Women of Newsweek Sued Their Bosses and Changed the Workplace by Lyn Povich. Journalism & Mass Communication Quarterly. Fall 2013. Gerl, Ellen. Review of Bad Girls Go Everywhere, The Life of Helen Gurley Brown by Jennifer Scanlon, The Journal of Magazine and New Media Research, Carol Schwabe, ed., Winter 2012. Gerl, Ellen. Review of Summoned by Science: Reporting Climate Change at Copenhagen and Beyond by James Painter, Journalism & Mass Communication Quarterly, Winter 2012. Gerl, Ellen. “The Prophetic Voices of Environmental Journalism,” a review of Outlaw Journalist: The Life and Times of Hunter S. Thompson by William McKeen in The Journal of Magazine and New Media Research, David E. Sumner, ed., Fall 2009. Gerl, Ellen. “Heh, Venus, if you will…A Tune of the Heart,” Magazine Matter, online newsletter of the AEJMC Magazine Division, November 2008. Gerl, Ellen. “Hearing Voices: How to help students learn the elements of voice and find their own, The Community College Journalist, Summer 2007. Gerl, Ellen. “It’s in the Cards,” Magazine Matter, online newsletter of the AEJMC Magazine Division, November 2006.